This post is courtesy of our contributor Dawn. 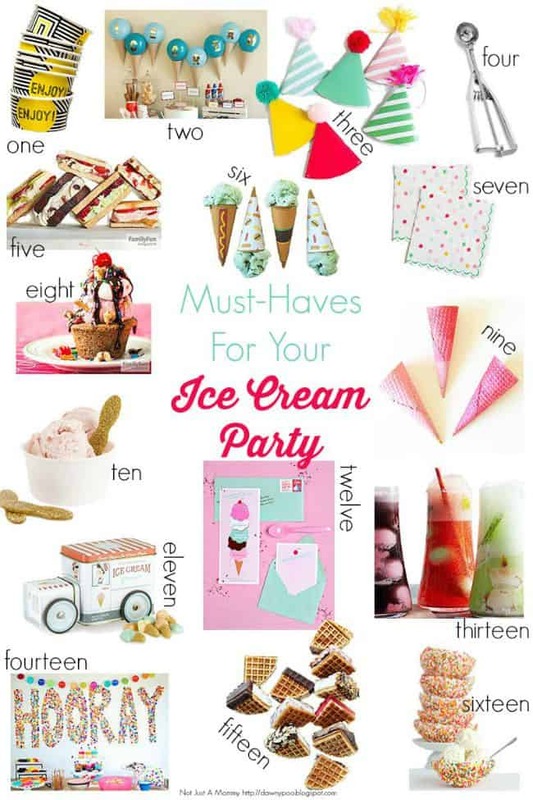 This Ice Cream Party Essentials post contains affiliate links. I may earn a small commission on any purchase made from products purchased after clicking the links. My name is Dawn and I love ice cream. I love ice cream parties. I have an entire pinboard dedicated to ice cream. Today, I’m sharing 16 of my favorite must-haves for your ice cream party…and they are also perfect for parties and just-because moments all summer long! one. Perfect for holding toppings; geometric cups from Shop Sucre. two. How fun are these balloon decorations featured on Evite? three. Deck guests out in Shop Sweet Lulu’s party hats. four. Serve in style with the Piazza ice cream scoop from Williams-Sonoma. five. Make real ice cream sandwiches using toast; check out the recipe at Parents. six. 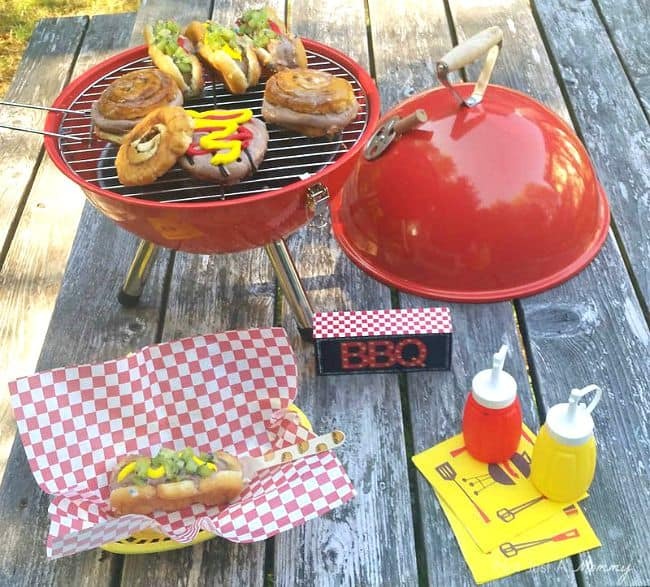 My hamburger + hog dog ice cream cone wrappers are perfect for summer BBQs. seven. Clean up with Shop Sweet Lulu’s small dotty napkins. eight. Build sundaes in Parents’ cookie and brownie bowls. nine. Glitter up your sugar cones with Shop Sweet Lulu’s tutorial. ten. How much do I love Sucre Shop’s glitter ice cream paddles? eleven. This ice cream truck from Williams-Sonoma is full of gummy candy and makes a fun addition to your table. twelve. I never tire of One Charming Party’s free ice cream party printables. thirteen. Step up your soda float game with Better Homes & Gardens. fourteen. Hooray for the perfect confetti backdrop to your party table, from Life Sweet Life. fifteen. Mmm….waffle ice cream sandwiches with Williams-Sonoma Breville No-Mess Classic Round Waffle Maker. sixteen. Edible. Sprinkle. Bowls. Thank you, This Heart Of Mine. Looking for more ice cream fun? I just posted on a fun party idea for Blue Bunny Ice Cream, hamburger + hot dog ice cream doughnuts! We’d like to send a big THANK YOU to Dawn of Not Just A Mommy for sharing these creative ideas with us. I don’t know about you…but I’m suddenly craving ice cream!! Over on Dawn’s blog you’ll find plenty of party inspiration for all of life’s celebrations – so many clever ideas that she makes easy to recreate for yourself! Her party ideas are always bright, colorful and cheerful! Be sure to follow her on Facebook, Pinterest and Twitter for even more creative ideas. This post contains affiliate links. I may earn a small commission on any purchase made from products purchased after clicking the links.